A carer who admitted stealing £10,700 from an elderly woman has been jailed for 10 months. 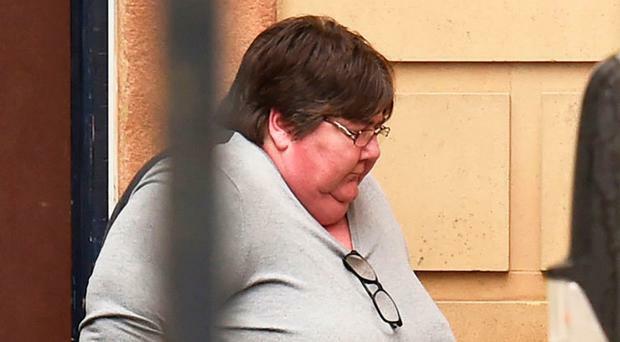 Glenda Henry took the money from her 81-year-old victim's account over an eight-month period, starting in June 2015. Henry (52), from Parkmore Drive in Magherafelt, pleaded guilty to the theft last year, but the judge deferred sentencing for 12 months to give her time to pay £5,000 to the woman's family or face a prison sentence. The judge told the defendant last February that if she didn't repay the money within a year, she would be jailed for 10 months. At Londonderry Crown Court yesterday, her barrister told Judge Philip Babington that Henry had no money available. A prosecution lawyer told the court the defendant worked as a private carer for the woman. In March 2016 the victim's daughter became suspicious of transactions on her mother's debit card and reported the irregularities to the Bank of Ireland branch in Magherafelt. The prosecutor said the elderly woman had stopped using ATMs because of her medical condition, and dealt directly with staff members she knew in the bank. An internal investigation by the bank revealed that in June 2015 the victim transferred £1,000 from her savings account to her current account and that within a week all of the money was removed from her current account following four ATM withdrawals of £250 each. In November 2015 the elderly woman transferred £6,000 from a joint account she held with her husband to her own current account. Within two months that sum had been removed from her account via ATM withdrawals. The bank then informed the police and following their investigations they viewed CCTV footage from a camera beside an ATM in the Asda supermarket in Cookstown. That footage showed Henry making multiple ATM withdrawals, some of which took place when her victim was an inpatient in hospital. The victim's account went into the red because of Henry's withdrawals. She was upset and annoyed when she received a letter from the bank stating that her account was overdrawn. The woman believed she had unwittingly caused her account to run into the red. The prosecutor said the victim died in May 2016. The following month Henry was arrested and questioned by police and denied stealing her elderly client's money. In July 2016 she was interviewed for a second time and made partial admissions when she said the victim had given her her bank card and pin number to buy toiletries. "She told the police she had pushed the boundaries and used the card outside the agreed parameters and used it for herself," the prosecutor said. Defence barrister Mark Reel said Henry, who had no previous convictions, had engaged in a series of offences which involved a serious breach of trust and also dented public confidence. He said Henry, a single mother of five, had endured two abusive relationships and was now in a stable relationship. The barrister said she was chronically disabled and had other medical difficulties, adding she had lost her job because of her offending. Judge Babington described Henry's offending as premeditated and pre-planned. He told Henry she had been given a chance to repay £5,000 within 12 months. "The judge told you then if you did not repay the money that you would go to jail for 10 months and I see no reason to disagree with that," he said.